Our Farm is situated an hour's drive from Port Elizabeth on the N10 to Cradock. We border on the Addo Elephant Park in the beautiful Kromrivier Valley. Here you will be able to relax and enjoy the beauty of nature that is ideal for hiking and mountain biking (bring your own) as well as bird viewing of which we have plenty. Binoculars is a must! Our Guesthouse has a long and rich history and has recently been renovated. We can provide cleaning services at an extra cost for longer stays. The house is furnished with everything you might need for your self catering stay. Meals and braai packs can be provided from the Main House with prior arrangements and at an extra cost. The Farm house has a long and rich history and has recently been renovated. We can provide cleaning services at an extra cost for longer stays. The house is furnished with everything you might need for your self catering stay. Meals and braai packs can be provided from the Main House with prior arrangements and at an extra cost. Our mountainous area offers hiking, mountain bike riding and the gravel road is ideal for jogging and cycling. 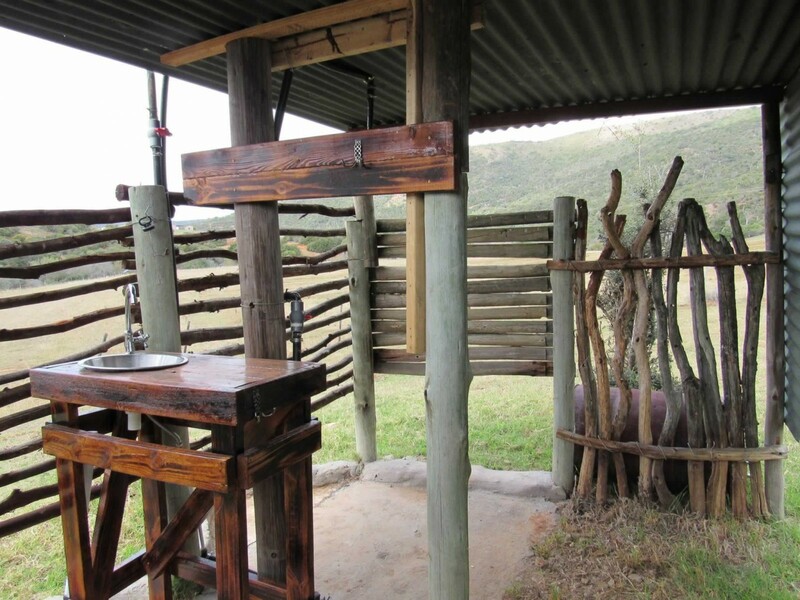 There are no restricted areas on the farm which gives you plenty space to walk/ride into the veld or up the mountain. We are ideally situated amongst various Game Reserves such as Shamwari, Addo Elephant Park, Schotia Safaris, Elephant Back Safaris and Amakhala Game Reserve. Bushman Sands Golf Course is a half hour drive from us. Please bring sunscreen and a hat as our summer days can get rather hot. You might find the odd mosquito so bring along some repellent. Also bring your own bottled water if you prefer not to drink rain water. The nearest shop is in the small town of Paterson (26km from the farm) so make sure to bring enough to drink and eat for the duration of your stay. 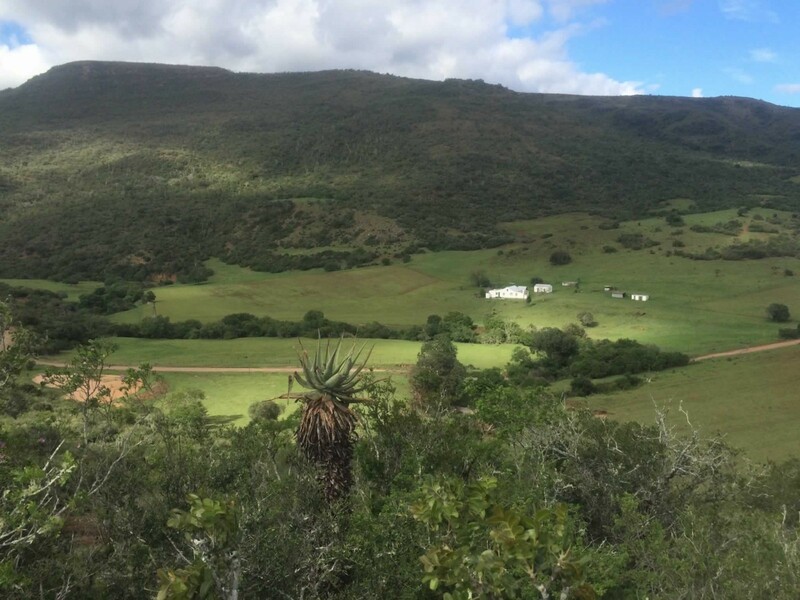 Our Farm is situated in the beautiful Kromrivier Valley. You are visiting a working farm, but with 100% privacy. Should you wish to see the farm activities, herding sheep, working cattle or even milk a cow, you can make arrangements with Management upon arrival. Or you can spend the day leisurely by just watching the Impala graze from the undercover stoep. We are close to various Game Reserves like Addo Elephant Park, Schotia Game Reserve and Amakhala Game Reserve to name but a few. Elephant Back Safari rides are just down the road. Bushman Sands Golf Course is a half hour drive from us. I can assist with your bookings to secure your place ahead of time. We have a couple of restaurants near bye of which we will provide you details of upon arrival. There is plenty place to play and they can help with herding the sheep and feeding chickens, geese and guinea fowl. There are also always new born calves to be admired! Meals and packed lunches can be provided with prior arrangements. Indoor and outdoor Barbecue facilities (wood supplied) as well as a Bon Fire Area. Safe Parking on the premises. Non smoking indoors, with designated smoking areas outside. Guests have access to the whole farm for hiking, biking and spending time out doors. Splash pool, kids under 5 must be supervised. Bottled water, soft drinks, juice, chips and chocolates available from Main House, at extra cost.